Informations for the inquisitive minds. 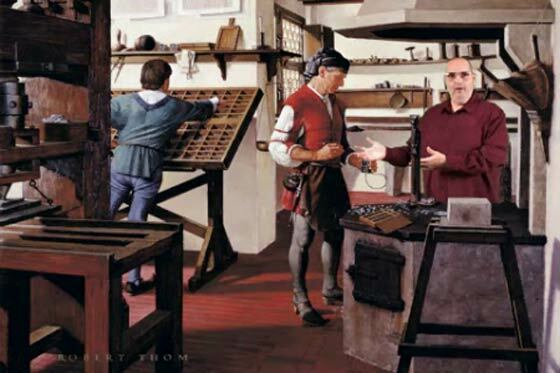 Print CEO blog published a video on the history of printing that Frank Romano, Professor Emeritus, School of Print Media, Rochester Institute of Technology, created with his students a few years back. In the video, Frank walks you through major milestones in the history of printing. From Johann Gutenberg to papyrus to important contributors in the development of type to Ben Franklin to Mergenthaler to Frederic Ives. This entry was posted on Friday, September 19th, 2008 at 4:09 am	and is filed under printing. "Canon Accuses Kodak of Misleading Ad"